When deciding among Destin condo rentals, photos of the Tides at Tops’L Resort really are worth more than one thousand words. 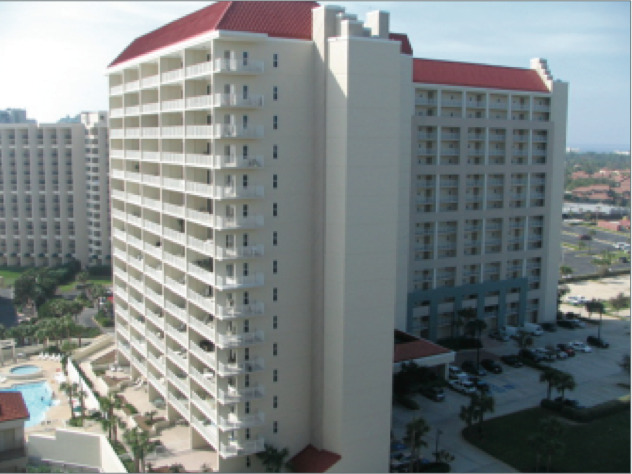 One look at its beautiful complex situated right on Miramar Beach in Destin will cause an immediate desire to visit. The Emerald Coast of Florida is without a doubt spectacular and this beachfront condo complex only add to that beauty. Guests staying at the Tides at Tops’L Resort will find themselves conveniently near the Silver Sands Premium Outlets that offer the perfect shopping experience. A multitude of restaurants ranging from casual to upscale are within walking distance. Plenty of entertainment and event venues can be found nearby, as well. Guests looking for a spa experience will be pleased with the two local spas. Of course, there is more than plenty to see and do at the gated condo complex itself. The lovely white beaches of the Gulf of Mexico beckon guests to walk down the boardwalk and soak their toes in the sand and water. The large sundeck surrounding the two heated, bi-level pools is the perfect place to luxuriate in the Florida sunshine. Children and parents alike will love the kiddie pool as well as the children’s club that offers a wide variety of activities for a fee. Other amenities include the large Jacuzzi and outdoor, lighted tennis courts. An indoor racquetball ball court and extensive exercise room provide a climate-controlled environment to enjoy. A mini-golf course can be found on the property along with a basketball hoop and a shuffleboard court. The Tiki Bar/Grill serves up delicious food and drinks while those looking for something small will enjoy the on-site snack bar. A grilling area provides gas grills for those guests who wish to cook outdoors. A free community shuttle transports guests around the property. Adding in free parking and a gift shop makes this Destin area condominium complex the perfect place to spend a vacation. Spread out over 15 floors, some of the units face the shore while others offer views of the Florida’s greenery. With beautiful living areas and dining rooms, these condos boast fully-equipped kitchens as well as private washers and dryers to meet guests’ every need. Each unit also offers a balcony perfect for relaxing in the Florida sun and breeze.